Excerpts from some other book: our heroic annelid makes a daring escape. Image from Soil-Net.com at Cranfield University, UK, 2015. We were in Louisville over the weekend, visiting a pregnant friend. She had given us many baby clothes before the birth of our daughter; we were returning them. Her son is now nearly three years old, so we spent part of the afternoon standing in the yard watching him dig with a plastic shovel. He found a worm, triumphantly showed it to us, then moved it to a safe spot near their sprouting peas. That’s when my friend and I started talking about worms. I grimaced slightly while slurping my pink strawberry smoothie through a straw. “Yes! In the pile!” And another plastic shovel’s worth of dirt was added to the small mound he’d made beside their flower bed. “Except, wait… worms can think, right?” I asked her. I wasn’t sure, being unaware, for instance, of Charles Darwin’s 1881 study to test whether worms could solve small puzzles, like choosing which objects could best be used to plug a burrow. And the question felt important; it’d be hard to write a compelling story when working with the drab emotional palette and unreflective inner life of a jellyfish. Jellyfish, see, have no brains. He scampered over to the peas and peered. No worm, apparently, was found. “Underground,” he mused. And set a dirt-flecked hand upon his chin, philosophically. At the time I worried that an uncephalated worm (i.e. cognitive function was never fully localized to the head, as opposed to our decephalated hero post encounter with the nemesis mole) would make a lousy protagonist. Being a brain-in-head-type fellow, I am somewhat biased toward the emotional experiences of my own kind. Now, though, I’m not so sure. Because head-centered cognition might well result in a worse, emotionally flattened story; the most dramatic action occurs while our protagonist’s head is missing, after all. And I’m still concerned about my original question, what would a worm feel? If I’m going through all the bother of writing a story, I’d like for people to enjoy it. And I’ve seen many reviews that criticize human male writers, say, for attempting to inhabit the inner voice of a woman in fiction, or an iphone. Although those perspectives both seem easier to project myself into than that of a worm. The life of an iPhone seems so similar to my own. Talk to people; look up facts; draw maps; listen to snippets of music and try to guess the song; spend aggravatingly long periods of time thinking, thinking, thinking, with no apparent progress visible from the outside. Or perhaps that last one is not what you think of when you contemplate such devices, but my younger brother has one and he also has a tendency toward dropping things, and of forgetting things in his pants’ pockets when he puts them in the wash (you may have read previously his très bourgeois tragicomedy, “Another Bagful of Rice”). His phone spends as much time as I do staring idly into space, unresponsive. But, a worm? How would I write a worm? Some of the information above as relayed by the narrator and his friend is not true. Earthworms will not, for instance, regrow their heads. 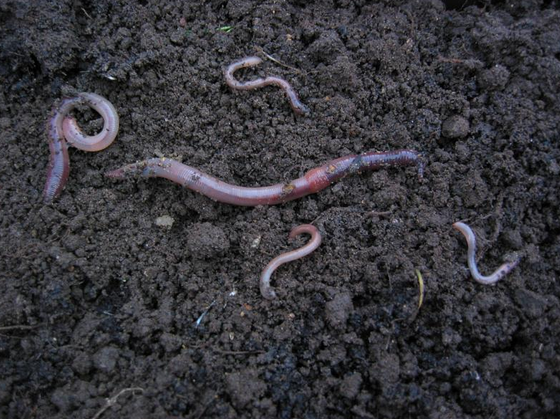 An earthworm can regenerate some fraction of the lower half of its body, but not the top half. It’s possible that the narrator’s friend was thinking of planaria, from which a fraction of tail can in fact be used to create an entire regenerated animal, and in which the nervous system has a concentrated mass of neurons in the head that seems brain-like, but doesn’t seem to have a true central nervous system. The worms whose heads were bitten off? They are doomed. They will not regenerate their heads and will eventually be eaten (unless some larger predator finds the mole, in which case they’ll die fruitlessly… although even then they’ll still be eaten, I suppose, as long as you’re willing to use the verb “eat” to describe decomposition effected by bacteria). But if our hero was simply mutilated, then there is still a chance! Come on, little buddy! You can do it! Escape, escape! And, in case you’re curious about earthworm cognition, Eileen Crist wrote a lovely article describing Charles Darwin’s experiments; it was published in Bekoff, Allen, and Burghardt’s The Cognitive Animal and is very accessible (I even convinced K to have her high school biology class read it one year) and, to my mind, very fun. Well worth a read, even if you don’t yet care about worm thoughts. But you will! Just you wait. On minotaurs (and whether or not mothers are the root of all maladies). On names (specifically, my own).